Now we introduce Princess Lucy! Above is Paul Hartmann ringing in the Festival on Thursday afternoon. 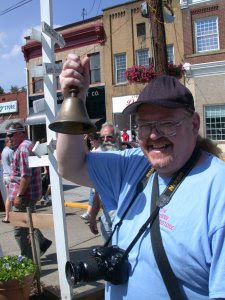 The opening ceremony starts with the Festival's bell ringing. The church bells ring along with the college's bells. 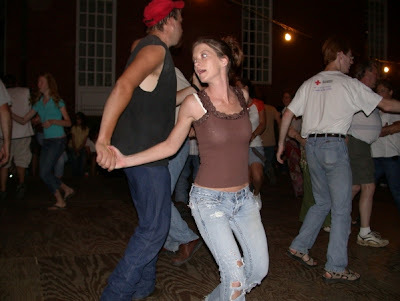 Thursday evening was the first square dance evening. Most of our Friday afternoon was devoted to the WV Folk Festival Belles. These ladies, who are all over 70 years young, are a delight. They go all out in their period costumes. There is such a wealth of experiences and knowledge in these pioneer ladies. 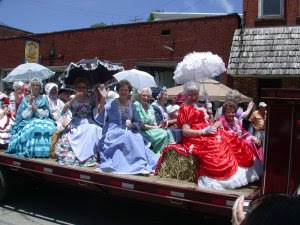 The photo below was taken of the past Belles riding in the parade. I could not help take the other photo on Satrurday in front of one of the many antique vehicles. Below is a photo of Lynne and Ron Kemper. 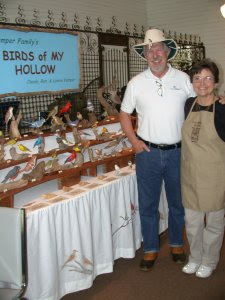 Ron's Dad, Claude, was instrumental in an exhibit called "Birds of My Hollow". His hand carved birds are wonderful. Before his death, Claude taught Lynne how to do the carvings. She is carrying on this great tradition. The Folk Festival is MUSIC! The sounds of fiddles, dulcimers, banjoes, and many other instruments are ever present during the Festival. 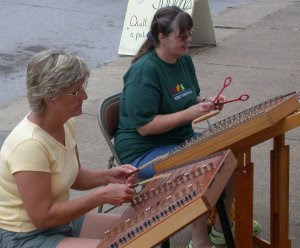 In front of the Methodist Church is usually the site of Patty Looman and her hammered dulcimers. 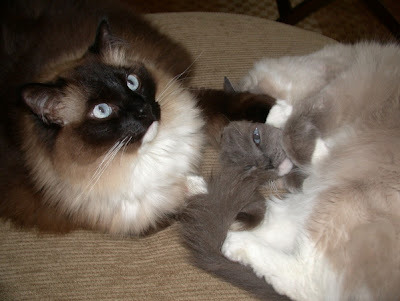 Here are two of Patty's "students". 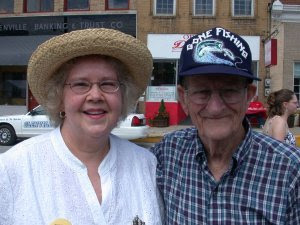 The Festival was dedicated to old time musicians Lester and Linda McCumbers of Nicut in Calhoun County. Here is the good wife with Lester. Lester is one of the last of the old time fiddlers. Kids enjoy the Festival. 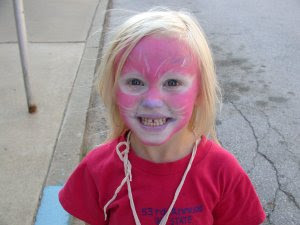 Here we have a young lady who has been to the face painter. Tis a pink panther- I do believe! 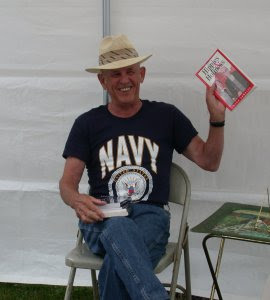 One of the treats at the Festival is the Oral Traditions/Singing Tent. We had several poets and writers read their works. Fran Schmetzer had a book signing on her new book, Musings of an Oldtimer. Here is Mack Samples with his new book. It was a great Festival! 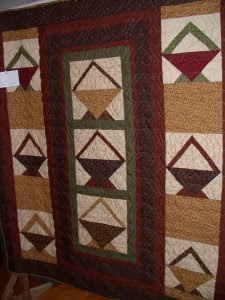 The 2007 quilt show at the Festival was super. 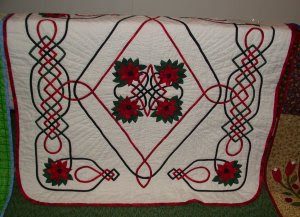 Each year the Thimbles and Threads Quilt Guild diplays at the Methodist Church a wonderful collection of quilts, wall hangings, jackets, and other handmade items that the members create throughout the year. Members make cuddle quilts for children who have illnesses or who are suffering from a traumatic experience such as the loss of a parent or loss of a home. 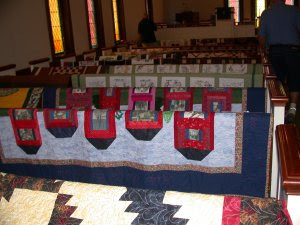 The first Kid's Quilt was presented to a child in 1999, and the project continues with over 80 quilts having been given so far to comfort children. 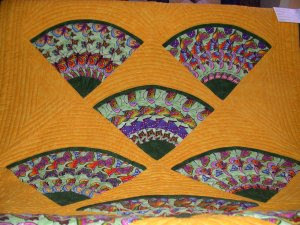 Judy loves to sew and really appreciates all the guild members. She has learned so much from the group. 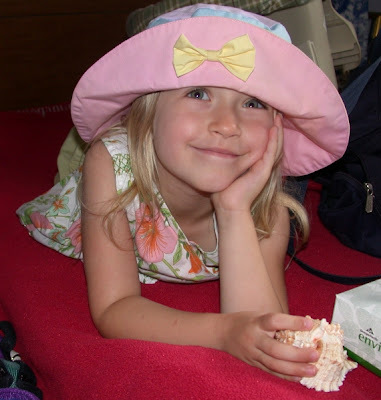 Sewing is certainly a passion and I appreciate seeing the joy she gets from her craft. 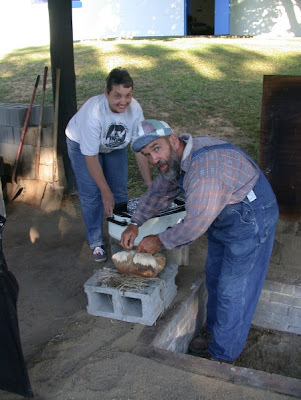 For many decades these folks have cooked beef in a wood fired pit on the Thursday evening of the Folk Festival. 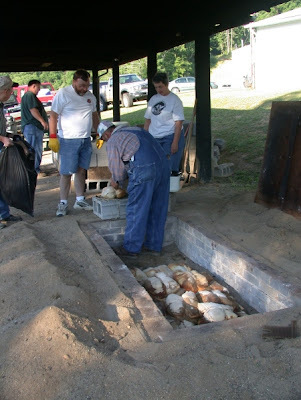 The pit is prepared and fired on the grounds of the Gilmer County 4-H Center. The beef is slow cooked all night. It sells for 20 dollars for a 5 pound package. What a deal! Brenda takes orders a few weeks before the Festival. 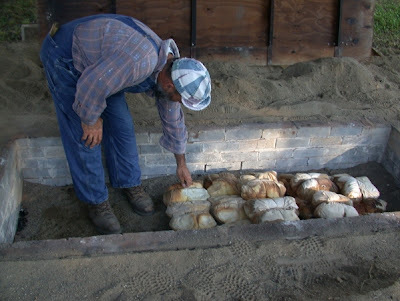 Early on Friday morning around 8 A.M., the wood ashes were removed and the meat was taken out of the pit as you can see in these photos. The smell was wonderful and the taste was even better. We certainly thank Brenda and Jack for their many years of volunteer efforts. 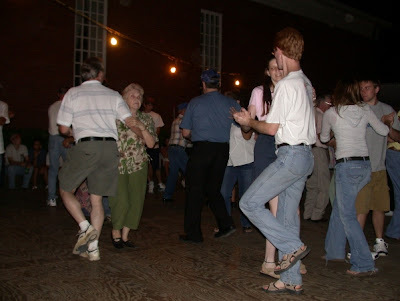 Yes, as soon as the dance platform was erected, it became the Festival center during the evenings. Dancing started around 8 P.M. and lasted until after 11. 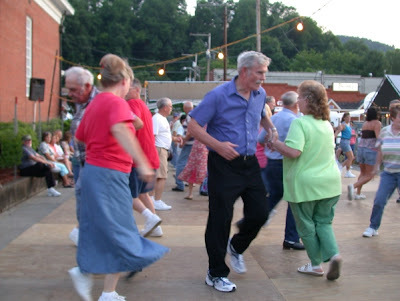 P.M. What a joy to see the folks dancing! The West Virginia State Folk Festival ended yesterday with a church service at the historic Job's Temple. 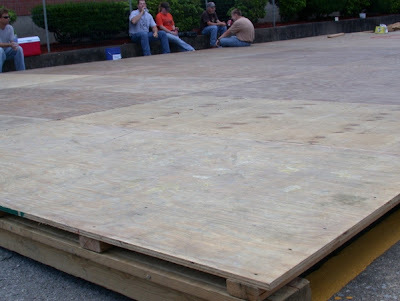 Today we are taking the dance platform down and placing it back into storage until next June. I will be posting a few pictures of the Festival this week. It was a super time! 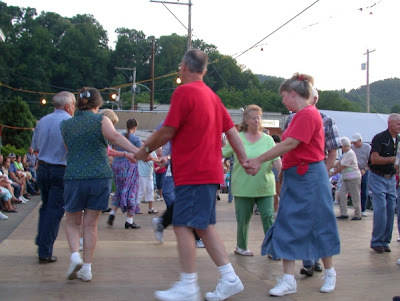 Tomorrow the 58th Annual WV Folk Festival Begins! 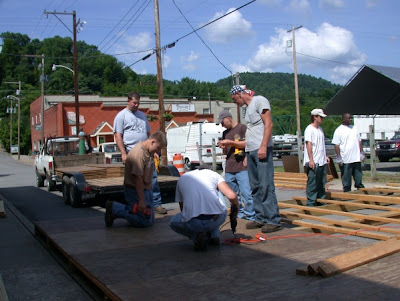 This morning volunteers aided by Gilmer County High School FFA students constructed the dance platform in downtown Glenville. Here is the platform as it appeared at 9 A.M. this morning. 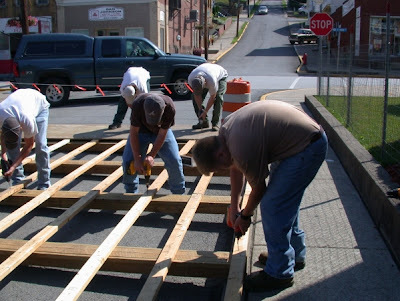 The crew started laying out the subflooring and then placed the timbers in a lattice pattern. Danny Waters is the person who has taken charge of this platform for the past several years. 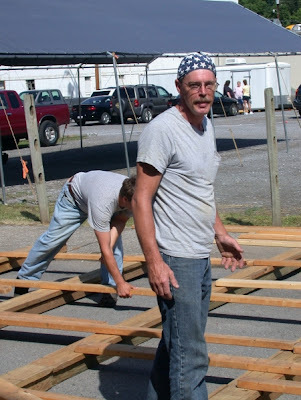 He hauls the lumber for the platform and then surpervises how the platform should be erected. We certainly appreciate Danny's volunteer efforts! Once all the subflooring was in place, then the electric drills went into motion. The folks did an ourtstanding job placing the plethora of screws into the structure. Finally it was time to attach the flooring. 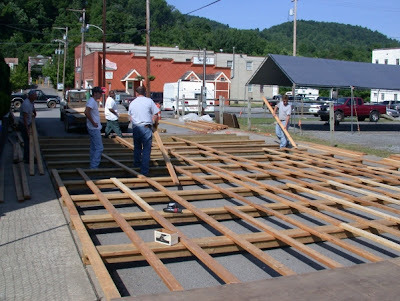 The dance platform was completed by noon. This is a record. 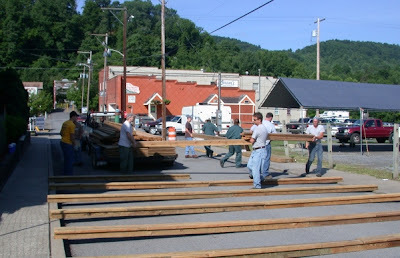 It was accomplished through the efforts of the many volunteers that showed up to construct this important part of the Folk Festival. Special thanks goes to the Gilmer High School students. Tomorrow evening the floor will be vibrating with the feet of the dancers. The sound of fiddles, banjos, and guitars will once again be welcome companions to this historic dance platform. On Friday this wonderful bird along with his "wife" took a bath in our backyard stream. The male Scarlet Tanager would fly down into the water nd then perch on the Mimosa tree above the pond. What a joy to watch this brillant bird! 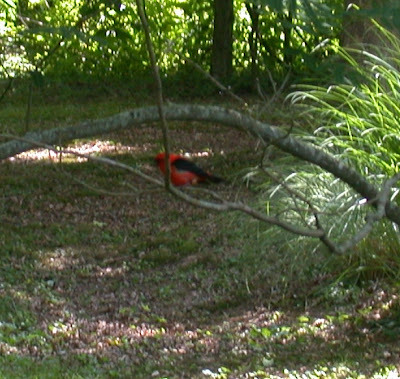 The male is this vivid red with black wings and tail. The female is an olive green and not as exotic looking. Scarlet Tanagers are unusual among the 230 species of the Neotropical tanager family because they have seasonal changes in plumage. Only one other tanager, a South American species, does this. The male changes his striking breeding plumage of scarlet and black for an olive green color that is similar to the plumage of the female Scarlet Tanager. We are almost into the official start of summer. It has been extremely dry. The deer have eaten our Bee Balm. 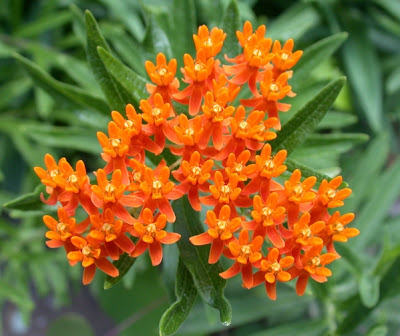 So far they have not devored our butterfly weed which is a species of milkweed. Mostly we have raised the brillant orange but a new critter has appeared. As you can see it is very yellow. The bottom photo is the normal orange that usually appears. 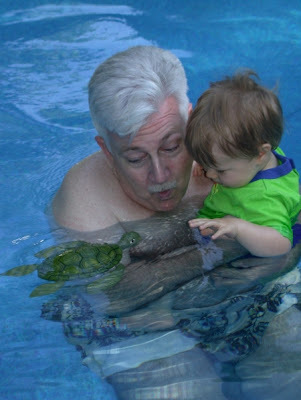 Grandpa had to teach Sam how to observe turtles. This automated turtle was a sea critter, but Sam did not notice. 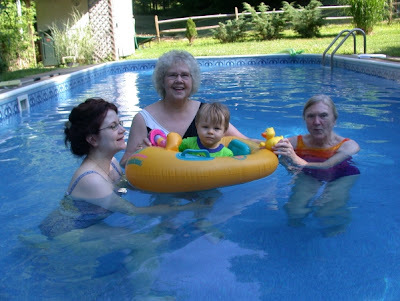 Grandma was in charge of the speed raft. 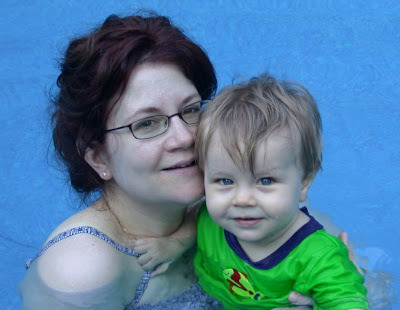 Sam had a big swim adventure. 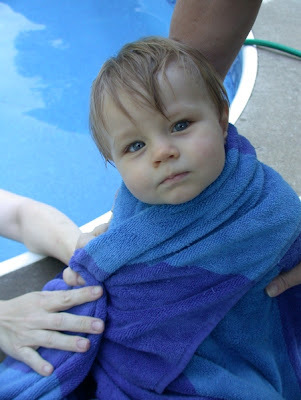 I can see in the future that he may be on the Olympic swim team. He still has a few years to practice. I am 83 years old! 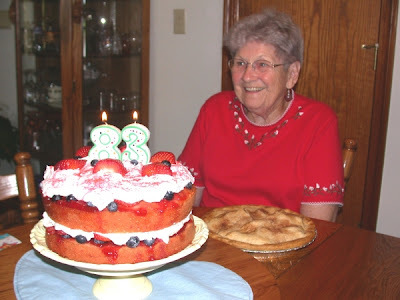 On Wednesday we traveled to Spencer to celebrate Mom's 83rd birthday. Everyone enjoyed a delicious spread of grilled meats, casseroles, and salads. Suster Judy made a beautiful strawberry cake for her mother with layers of cream frosting mixed with fresh strawberries and blueberries. David Vierra, added two homemade apple pies to the dessert table. Maria Vierra, and Louise Garrett also celebrated with this special lady. Here is an except from an article I submitted to her local newspaper. Thought you all would enjoy Mom's background information. Eloise Meads was born in Gardner, Kansas, the daughter of Ben and Olive Davis. 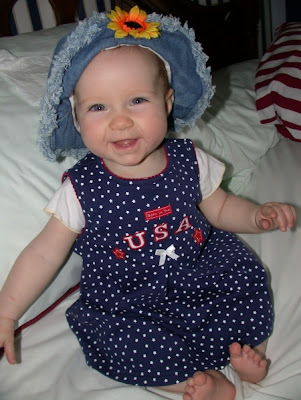 Her father was a Methodist minister, who was transferred to Billings, Montana, when Eloise was a girl. She graduated from high school in Billings and began college courses to become a teacher. Eloise first started her teaching experience at McLeod Elementary School in McLeod, Montana from September 1943 to January, 1944. She was the only teacher in a one-room school and taught grades one through eight. During World War II, Eloise enlisted in the WAVES – a branch of the U.S. Naval Reserve. On February 7, 1944, Eloise left Livingston, Montana by troop train to start her career in the WAVES with training in Stillwater, Oklahoma. She completed additional training in the Bronx, New York, and was then assigned to Camp Elliott, San Diego, California. This is where she met her Navy husband, Jim. They were married 44 years until his death in 1989. Eloise worked as a substitute teacher in Calhoun, Kanawha, and Roane Counties and then became secretary of Spencer High School for four years. 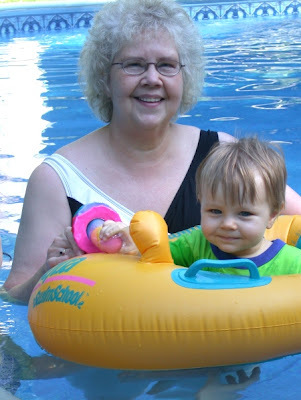 In 1965, she moved to the Roane County Board of Education Office where she became Bookkeeper and Head Financial Secretary and held those positions until her retirement in 1984. 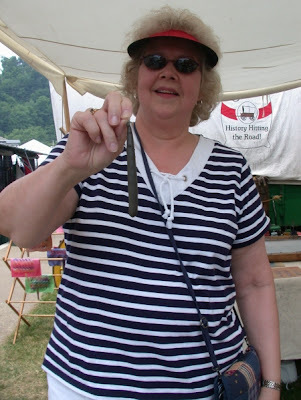 She is a member of the St. Johns Methodist church, the Susanna Wesleyan Circle, and is past President of the Roane County Retired Teachers Association. Eloise was active in the establishment of the Committee on Aging in its current facility. 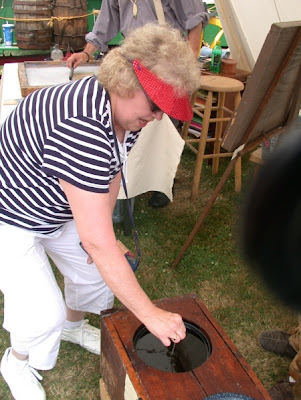 She also worked to gather furnishings, books, and displays for the one-room school house at Heritage Park and frequently serves as a hostess there during community celebrations. She is a member of the Novelty Club and Helping Hands. 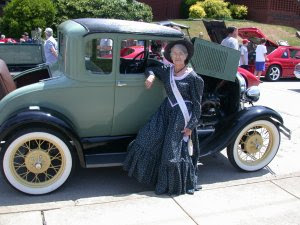 She represented Roane County as a Belle at the West Virginia Folk Festival in Glenville. 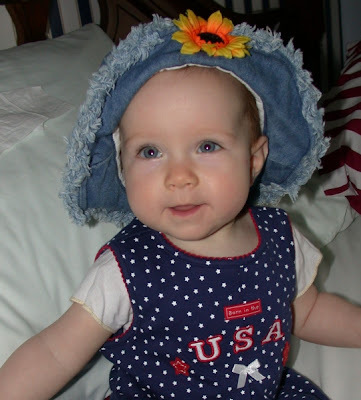 Eloise enjoys visiting with friends and family and loves watching the birds and other animals that come to her yard. Don Herbert was known as Mr. Wizard . Yep, I was one of the kids that watched the 1950's TV show, "Watch Mr. Wizard." Don Herbert died yesterday at age 89. 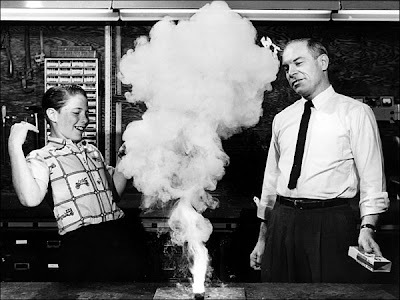 Mr. Wizard demonstrated science experiments that could be easily duplicated using materials found in the home. I can remember the excitement of seeing reactions between baking soda and vinegar, iodine and starch, and even pepper and soap! (OK- float black pepper on the surface of water and then touch a bar of soap into the floating black spice! Watch the fun of surface tension!) Remember making stars out of broken toothpicks - the toothpicks moved mysteriously on their own when a drop of water was placed on the broken sections? Oh well, you guys may be too young to appreciate these wonderful sights performed before your eyes. The students these days are often too absorbed by technology and it may be difficult for them to appreciate the simple wonders that Mr. Wizard revealed to us. The "Watch Mr. Wizard" TV show ran from 1951 until 1964. 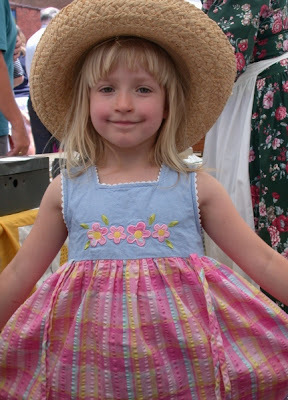 IT IS ALMOST FOLK FESTIVAL TIME! 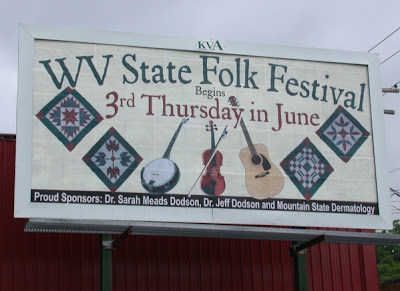 Next Thursday the WV State Folk Festival will begin. 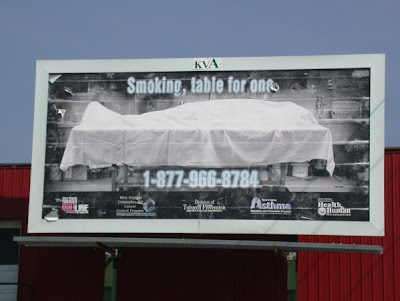 Our daughter Sarah and son-in-law Jeff made the above billboard happen. The previous billboad is seen in the photo below. We think this new billboard will be a great addition to the Festival. The old billboard was lacking something. Can you guess? What a deal! 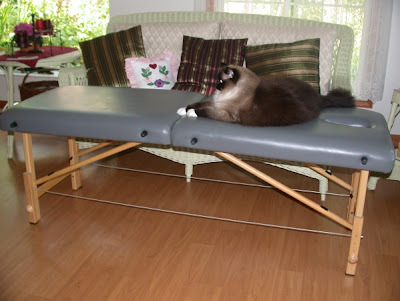 Jeanne Kennedy sold this massage table at a super reduced price. What a neat invention! It folds so we can take it camping! (chuckle) You will notice who the first critter to use this table at the Meads abode. Yep, Max checked it out immediately! 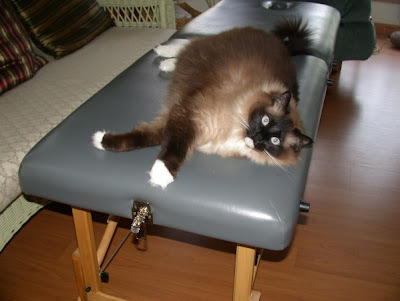 Max is taking this massage table very seriously. As you see he is trying some new massage techniques on Belle. 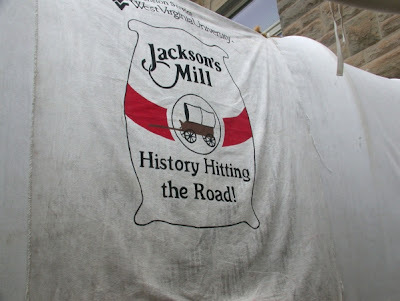 As we meandered through the crafts and exhibits at the Wood Festival, we came upon the "History Hitting The Road" exhibit sponsored by Jackson's Mill. Here Judy is with our friends Dean and Brian. Dean is in charge of the historical area at Jackson's Mill in Lewis County. Brian is a Gilmer Countian who goes to WVU. 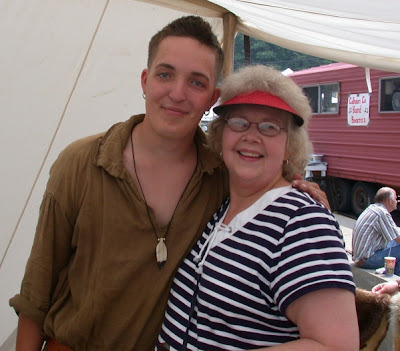 During the summer he is employed by this Jackson's Mill traveling exhibit. Brian's family ownes the Panther Primitives located just outside of Glenville. 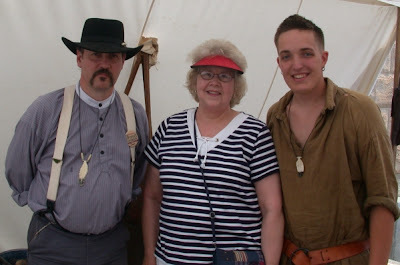 Panther Primitives bring the past to life by supplying historical reproduction tents and supplies for historical re-enactors and collectors. Since Judy had Brian in her high school classes, it was Brian's mission to have his former teacher make a hand dipped candle. So here we go! 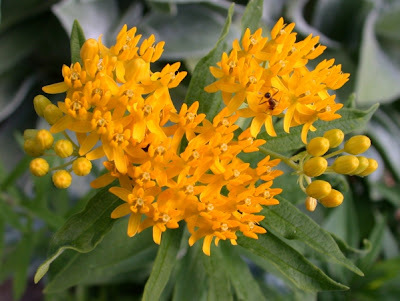 After multiple dippings, Judy produced a candle which was scented with wild cherry essences. 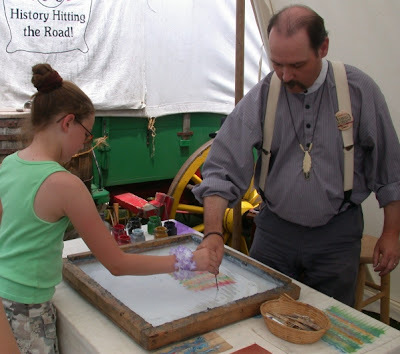 As Judy was involved in candle making, Dean was demonstrating paper marbling. The patterns are the result of color floated on either plain water or a viscous solution known as size, and then carefully transferred to a sheet of paper (or other surfaces such as fabric). This decorative material has been used to cover a variety of surfaces for several centuries. 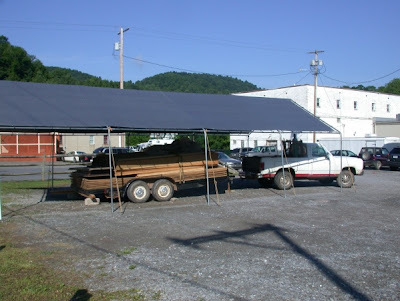 These folks will be in Glenville on June 21 through 23 for demonstrations at the WV State Folk Festival. Come see them in front of the Holt House.